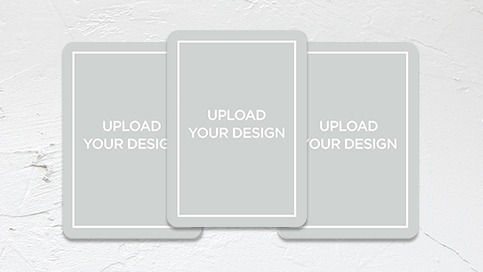 Beautifully coordinate your cards with custom envelopes. We'll even address them for you for FREE. card that does double duty. It's easy and FREE. details in a raised, shimmery gold foil finish. It's that time of year when the excitement over graduation is beginning to build. 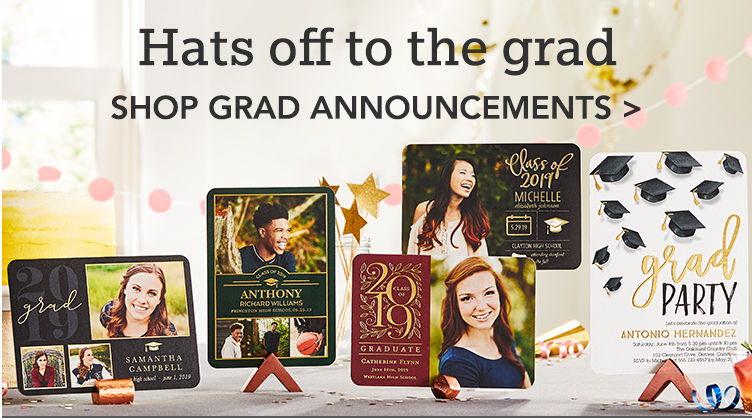 The big day is almost here and it's time to pick out those one-of-a-kind graduation cards and stationery. 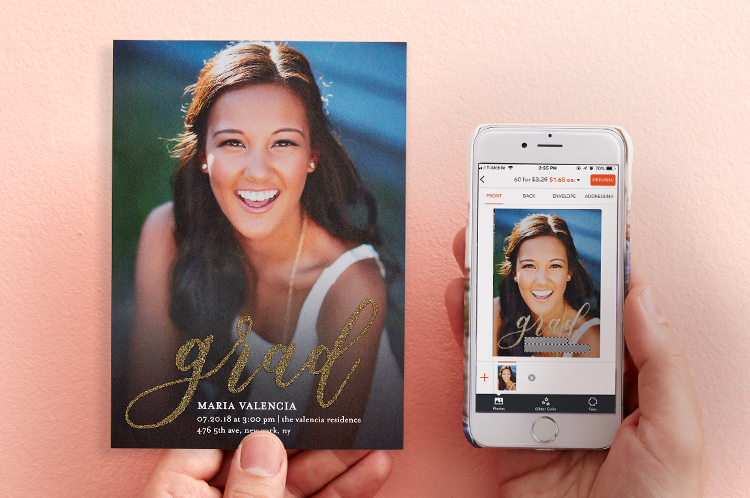 Shutterfly has customized graduation cards that will mark the graduate's special milestone in life. 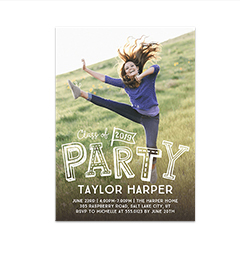 Invite friends and family to the celebration with personalized graduation invitations. This is a sure way to get a yes on the RSVP. 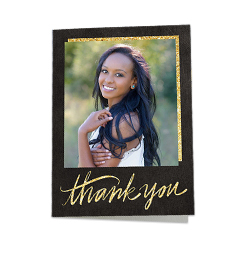 One charming option is to create heartfelt photo graduation cards. 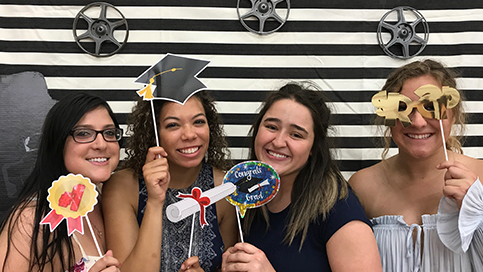 Shutterfly offers many options, which can include one or more photos of the grad. Camera shy? 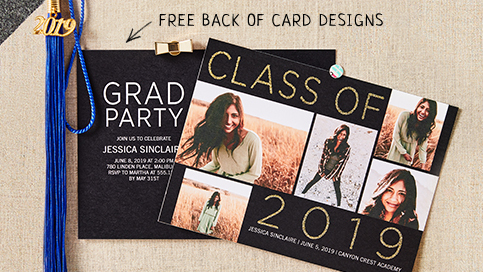 Not to worry—with so many styles of graduation cards, there truly is something for everyone. 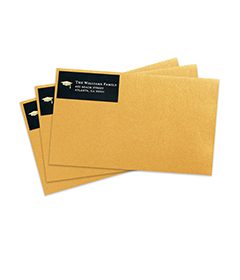 Choose between graduation announcements, graduation invitations and thank you cards. Decide on a vibrant theme, get creative and use a variety of fonts and colors. Add glitter to give it a little artistic pizzazz. Another trendy option is to make a statement with a vintage theme or commemorate the achievement with a modern, sleek template. No matter what you're looking for, Shutterfly has something just for you. Big day. Big party. Big guest list. 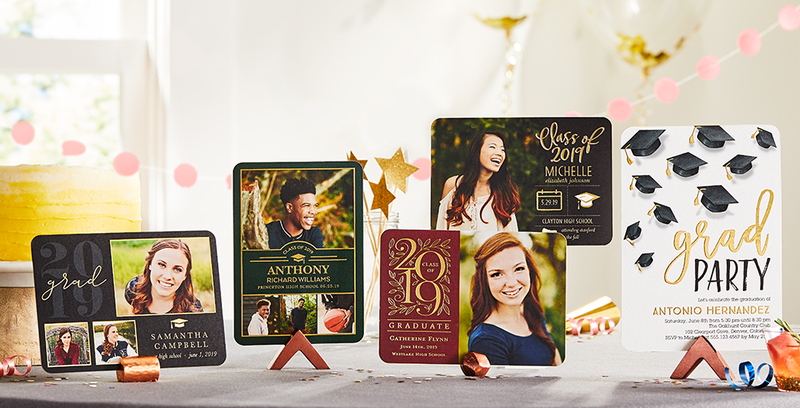 Invite friends and family to the celebration with easy-to-create graduation cards from Shutterfly. 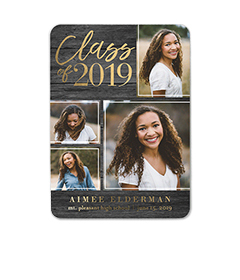 Let everyone in on the celebration by sending out the perfect graduation party invitation, finished off with unforgettable customized address labels. Take it one step further and pick out matching thank you cards to send to everyone who helped make the big day an unforgettable experience. 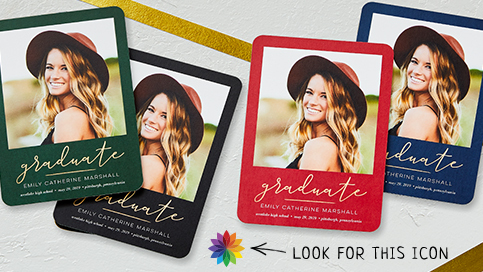 Congratulate your graduate with one of these personalized graduation gift ideas, and be sure to send it with a personalized message that will motivate and inspire the recent grad. We rounded up a list of graduation quotes and sayings for the whole family. Making that first big move? 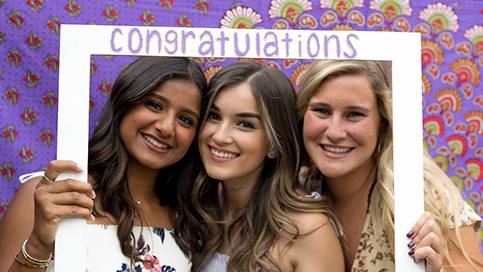 Highlight your new dorm room or studio apartment with one-of-a-kind canvas wall art and keep track of your new journey by writing down every moment in personalized notebooks. 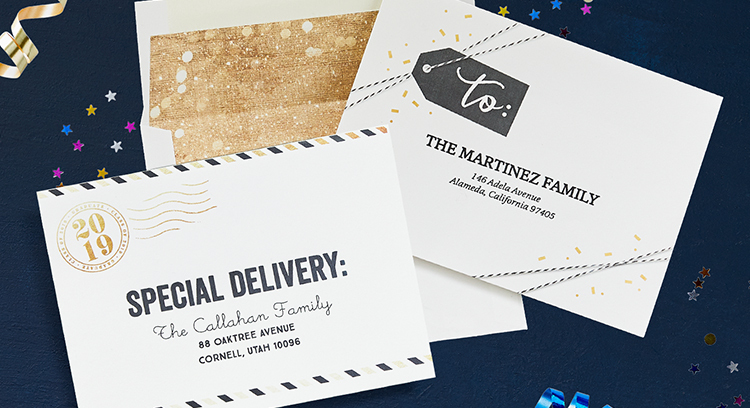 We know you're likely watching your budget, so be sure to see which Shutterfly coupon codes might apply to your order before you check out. Whether you are the graduate or the one doing the congratulations, these ideas are sure to please everyone.